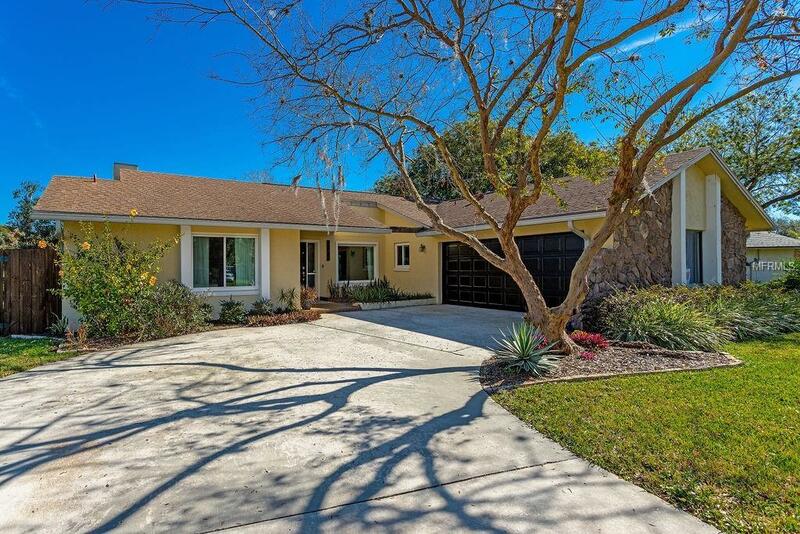 Breathtaking 3 bedroom 2 bath home in the sought after Winter Park High School district. Totally renovated from top to bottom with gorgeous wood laminate floors and modern gray walls. Beautiful stone fireplace in the living room and split bedroom plan. Huge master suite right off the living room with private en suite bath and across the home are your two other bedrooms that share the updated hall bath. Fabulous renovated kitchen with subway tile back splash and quartz counter tops plus your breakfast nook overlooking the huge backyard with your own fire pit. This home is perfect for entertaining your friends and family. Screened in patio outback offers additional outdoor living space. Canal in the back yard perfect for your kayak or canoe for access to the small private lake. You do not want to miss out on this one! Totally move in ready!